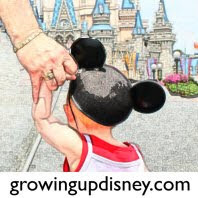 Growing Up Disney: A Walk Around the World with Ridge--Oh, Canada…Off Kilter? A Walk Around the World with Ridge--Oh, Canada…Off Kilter? As a frequent visitor to Walt Disney World’s EPCOT, I am a lover of the music and performers of World Showcase. MoRockin’ in Morocco, Japan’s Matsuriza, the Taiko Drummers and Mariachi Cobre in Mexico and the list goes on. But one group in particular that captures my full attention is Canada’s Off Kilter. For those of you not in the loop, Off Kilter is a Celtic Progressive Rock Band. What does that mean exactly? They take old Celtic standards, i.e. Danny Boy, Fields of Athenry, Follow me up to Carlow, and make rock and roll out of them. I love these guys and am not afraid to tell you why. I, being the person that I am, have some strange affinity for anything Celtic (Scottish, Irish and remember Patrick Stewart on SNL, “If it’s not Scottish, it’s CRAP!!!”). 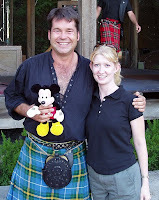 I even tried to talk my sister into letting me wear a kilt to her wedding (it was at Disney. You can see her posts and pictures about that) and I was told unequivocally NO! As a matter of fact I think I remember her saying it was her day and the only one in a dress would be her. That stung a little because it’s a KILT! 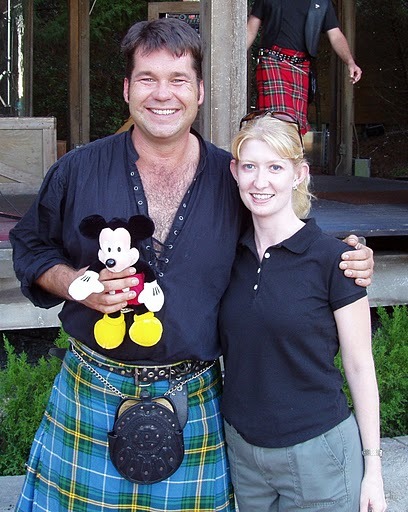 However, my kilted exploits are of no concern here. I have been a fan of traditional Irish and Scottish standards for a long time since I was listening to my Edinburgh Military Tattoo tape (Yes I said tape. I got my first car in 1996 and it was an 1989 Jeep Cherokee.) Later I found out about other groups like the Rouges, the Pogues, Planxty, Dubliners, the Chieftains, Damian Dempsey, Luke Kelly, Paul Brady, The Murphys, the Drop Kick Murphys…and Off Kilter. Now why does Off Kilter play in Canada? Canada is just as culturally diverse as the United States. Canada is also home to Nova Scotia. Since we all know Latin the answer is obvious. Oh, what’s that? We don’t speak Latin….OK then to GOOGLE….Nova Scotia means New Scotland in Latin. You should be able to find their flag for sale in the gift shop, the Trading Post and Northwest Mercantile. They have also some really good maple syrup; however, please resist the temptation to chug it…. The band performs in the Canada pavilion and is made up of an extremely talented group of musicians. The front man is Jamie Holton, the bagpiper and lead singer. He has been playing since he was 11 and is really amazing. You just rarely see anyone playing bagpipes, much less playing them in a rock band, unless you are into that sort of thing and then it is… still awesome. On guitar is Randy Holbrook, on bass is Mark Weldon, who hails from Cork Ireland, on the piano is Tony “Mi racle Fingers” Escapa, who studied at the Burklee College of Music in Boston and on the skins is Scott Zymowski, who has been associated with some big names in rock. As I understand the story, Jamie pitched his idea of a high energy rock band with a Celtic influence. Disney went for it and the band was formed and look at the awesomeness that has followed. I want to say the first time I saw them was on a family trip in 1997. I was hooked after the first song. Since then I have seen them at least once every trip. During my travels for EPCOT’s International Food and Wine Festival (forever called F&W around our homes,) I think I have seen them at least 2 or 3 times a day. So I guess you can tell they are entertaining because I play “short attention span theatre” and they can keep me entertained. Off Kilter has a level of energy you don’t always see in performers--Disney’s or ot herwise. These guys have a good thing and they know it and most importantly are appreciative of it. They will pose for pictures, sign autographs, shake hands, kiss babies…. They put on a 30 minute concert several times a day, several days a week. Check the park guide when you get to EPCOT to see when they are playing. You definitely do not want to go to EPCOT and miss them. Even if the thought of bagpipes makes you cringe, put that aside for a moment and go watch them. I promise it will be like nothing else you have ever seen and will make you a fan of Off Kilter for life. Great story Chris! I'd love to go see them this afternoon! The band's official website is offkilter.net. Their CDs and assorted tees and hats are available there. If you are at work, turn down your speakers because their music plays when the home page loads. Chris, you'll know you've found the right woman when she thinks it's a good idea for you to wear a kilt to your own wedding.